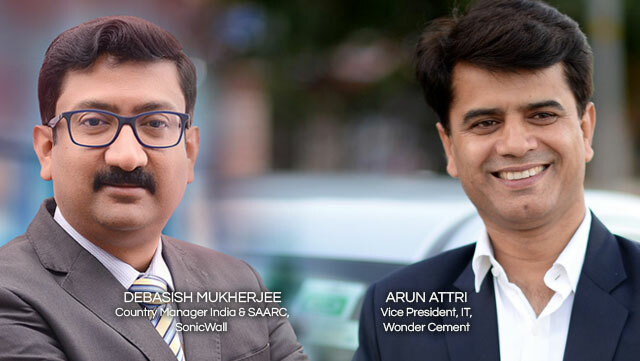 SonicWall, the trusted security partner protecting more than 1 million customer networks worldwide, today announced that it has been selected as a preferred security provider by Wonder Cement Limited. The implementation of SonicWall next-generation firewalls and award-winning network security solutions willl allow Wonder Cement to enhance security, improve reliability and reduce cost. Wonder Cement is a leading cement manufacturing company from the house of R.K. Marble Group. Through the engagement, Wonder Cement deployed multiple SonicWall NSA next-generation firewalls in high availability, along with the SonicWall Capture Advanced Threat Protection (ATP) sandbox service, managed by SonicWall GMS workflow management. The deployment has helped Wonder Cement overcome issues created by ineffective anti-malware solutions that were unable to mitigate advanced threats and targeted attacks.